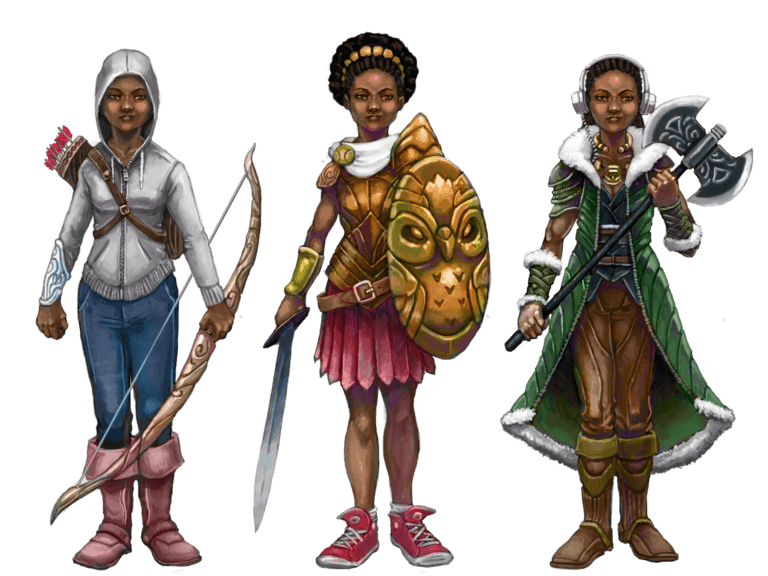 Mythic Mortals is a Tabletop Role-Playing Game where you and your friends play as your real-world selves suddenly granted unstable powers. 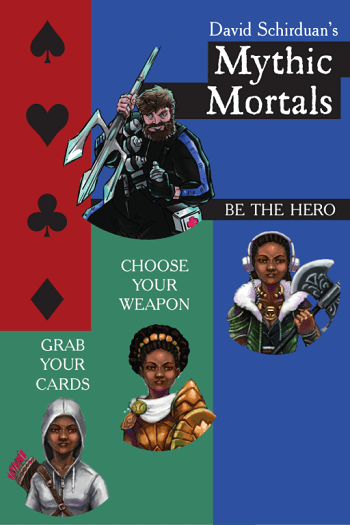 A visual and tactile joy, Mythic Mortals is easy to teach and fast to play. You play as yourself suddenly granted incredible and unstable abilities. Your powers, weapons, and flaws change every few turns, forcing you to constantly adapt. You’ll be fighting in your hometown, defending your school from monsters, and saving your world from utter destruction. Once you master your powers and your cards, then you will Be the Hero! Designed from the ground up for quick, satisfying play sessions (2-3 hours). The Rules and Setting make an easy, comfortable introduction to new players. Cards switch out every few turns, constantly providing new combinations of powers, weapons and flaws. Players start out strong, no need for leveling or grinding. All the cool weapons and powers are at your disposal from the beginning! Mythic Mortals is released under the CC-BY 4.0 license. Use the DevKit to make your own adventures, mats, and more! The Wrestler by Nathan Paoletta - Entertain the crowd, pull off flashy maneuvers, and master the mat! The Gunfighter by Grant Howitt - Enter powerful stances, use your Blackpowder Zen abilities. The Scholar by James Wallis - Study your foes, and support you allies with your findings! The Summoner by David Guyll - Sacrifice cards from your own deck to summon powerful creatures. This complex class rewards clever thinking and risk taking. The Fury by David Guyll - Burn cards to increase your power and let you rage engulf the battlefield. The Healer by Kyle Mecklem - more than just recovering cards, the Healer will be a welcome part of any group. The Metalhead by Daniel Charlton - Energize your allies with screaming guitar solos, to be followed by the screaming of your enemies as you smash them! 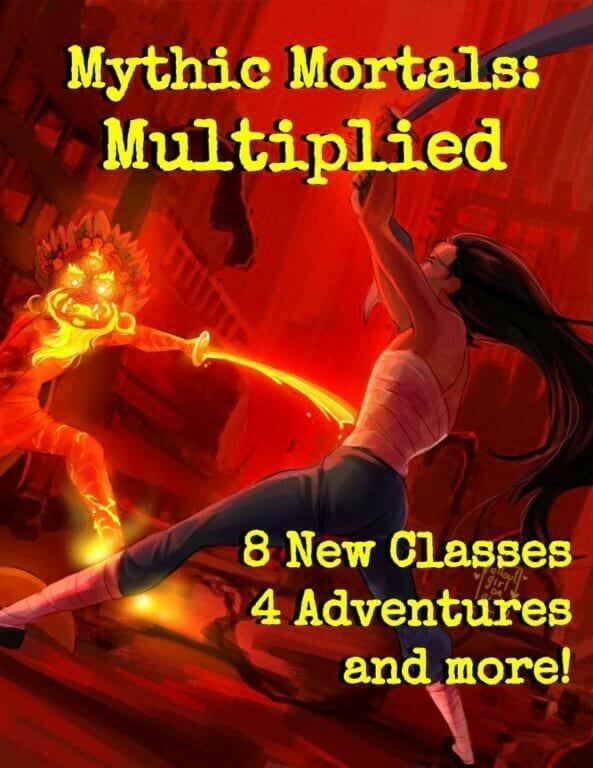 The Morph by Tod Foley - A dangerous being has taken control of your body, forcing you to fight against this shifting, writhing force within you!